Multiplayer first-person shooter. Play as Terrorists or Counter Terrorists. Similar to previous Counter-Strike games, Global Offensive is an objective-based multiplayer first-person shooter. 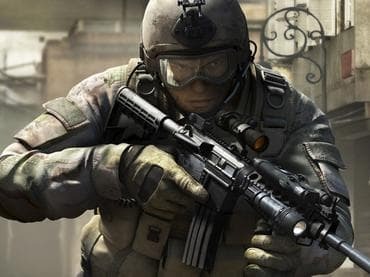 Players play as Terrorists or Counter Terrorists, and must complete objectives while attempting to eliminate the enemy team. Players purchase weapons and equipment at the beginning of every round with money awarded based on their performance. Completing objectives such as planting the bomb or killing an enemy earns players money, but negative actions, such as friendly fire towards a teammate or hostage will result in monetary penalty. In addition, when a round ends all players receive some amount of money, with players on the winning team receiving substantially more. Если у Вас есть вопросы, связанные с игрой Counter Strike Global Offensive пожалуйста используйте эту форму для связи с нами.